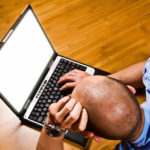 Is it really possible to make a living on oDesk? This question is a hot topic among aspiring online workers. In fact, many of our subscribers have submitted this question for further discussion. If you follow oDesk’s LinkedIn group, you’ll see a variety of answers and opinions. Allow me to set the record straight. I’ve been an oDesk contractor since 2008. Since then, I’ve billed well over 4,000 hours via oDesk and also many offline hours. 90% of my clients have originated through connections I made through oDesk’s marketplace. During that time, my hourly rate has ranged from $10 per hour (when I just got started) up to $60 per hour (new clients). So, in short, yes it is possible to make a living on oDesk. Easy? That’s a loaded question. Sure, it’s easy to sign up for a free oDesk account. It’s easy to add your work history, build a portfolio, pick your preferred job categories, and pick an hourly rate. However, getting your first client and building a solid book of business is certainly not “easy.” But what is? Most people give up after signing up for an oDesk account, and then they blame oDesk for their failure. If you have talent and are willing to do a little prospecting, then building your business on oDesk is easier than knocking on doors and selling newspaper ads (random zing on newspaper ads). What Do You Recommend for People New to oDesk? Look in the mirror. Do you want to be a business owner? Freelancers are business owners. Are you willing to work hard to get clients? Do you have the dedication? If 9 prospective clients turn you down, are you willing to find 9 others? You need to. 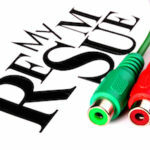 Do you have a marketable skill? How can you position that skill to stand out versus the 1,000,000+ freelancers already on oDesk? Can you juggle? To make a career out of oDesk, you need to be able to juggle a bunch of clients, all of whom have different needs. 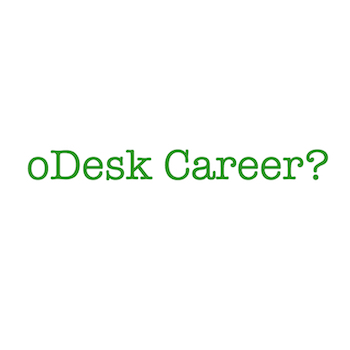 Ready to start your oDesk career? You can read Chapter 1 of my oDesk career guide here.